Heard the term Hiybbprqag recently? Google apparently was betting you and other like minded individuals would. Google was so sure the right audience would hear the term they registered the .com version of it. 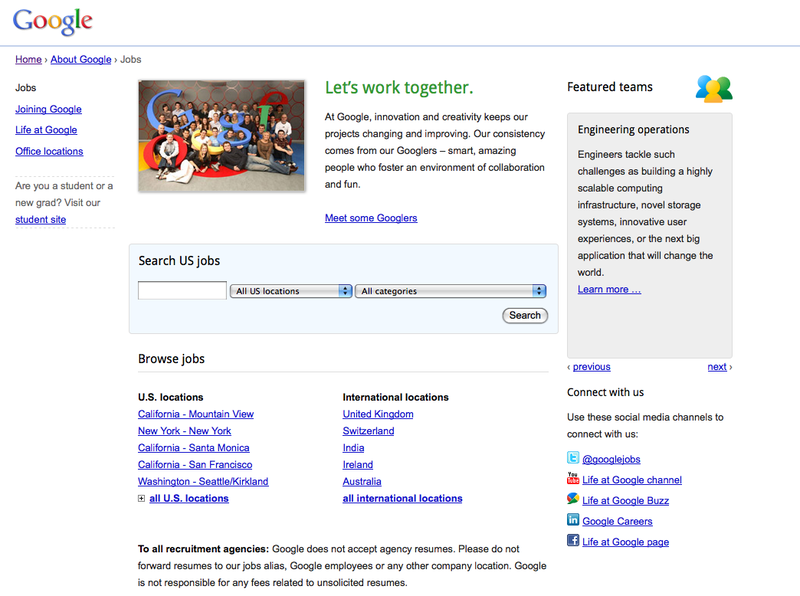 Typing Hiybbprqag.com into a browser takes users to a Google U.S. jobs recruitment page. What better way to filter potential Google job seekers than to give them an otherwise unspoken and unseen foot into Google’s digital door? This entry was posted on February 3, 2011 at 11:51 am and is filed under Google Jobs, Google Recruitment, Google Term Hiybbprqag. You can follow any responses to this entry through the RSS 2.0 feed. You can leave a response, or trackback from your own site.